That frame looks like it's made of a stronger color than the yellow. They redesigned the swingarm, I'll take some comparison pictures. 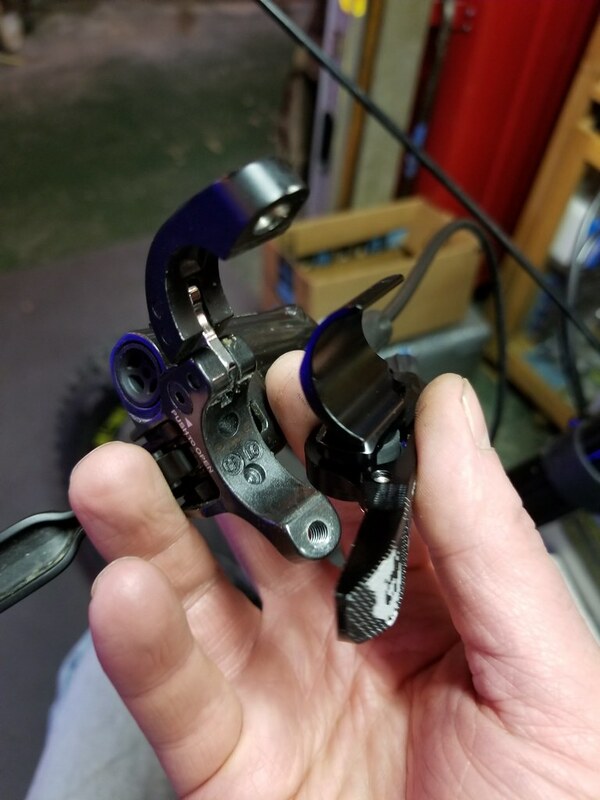 There was another swingarm from the exact same model sitting on their workbench when I was in, and I asked if they were seeing failures like this and he pointed at the swingarm. Same failure, same exact crack apparently. edit: Upon closer inspection, it doesn't look like the redesigned the swingarm. Last edited by RepoMan; 2018-01-22 at 9:14. So before, my old dropper seatpost lever had a separate mount ring around the handlebar. 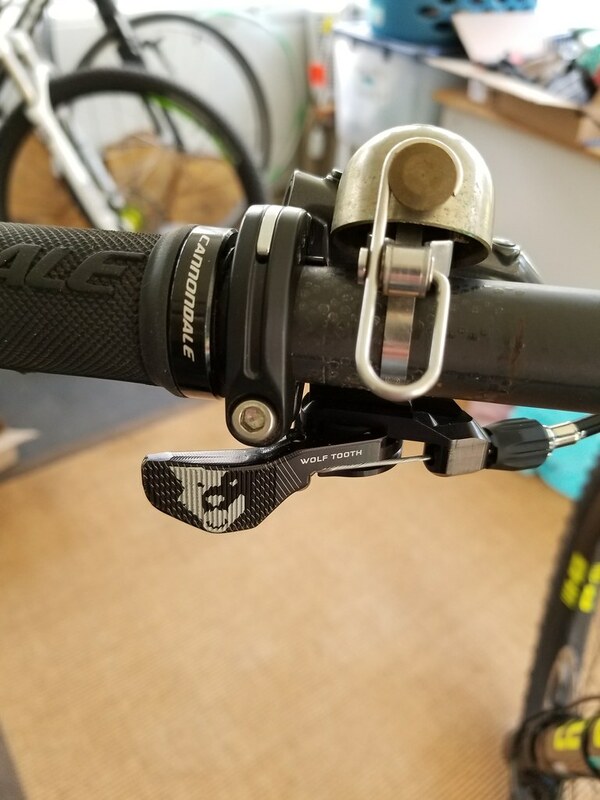 This new mount is designed to fit into the existing brake lever and fits into the space where, if you had a front derailleur/shifter on the left side, the shifter mount would go. Plus there's a snarling wolf face.